The A800 Series is Mitsubishi’s flagship inverter solution that delivers multi-use performance, accuracy and system flexibility in an ultra reliable hardware package designed for industrial use. Wide Speed Range: 200: 1-speed range open loop, 1500:1 closed loop speed range. 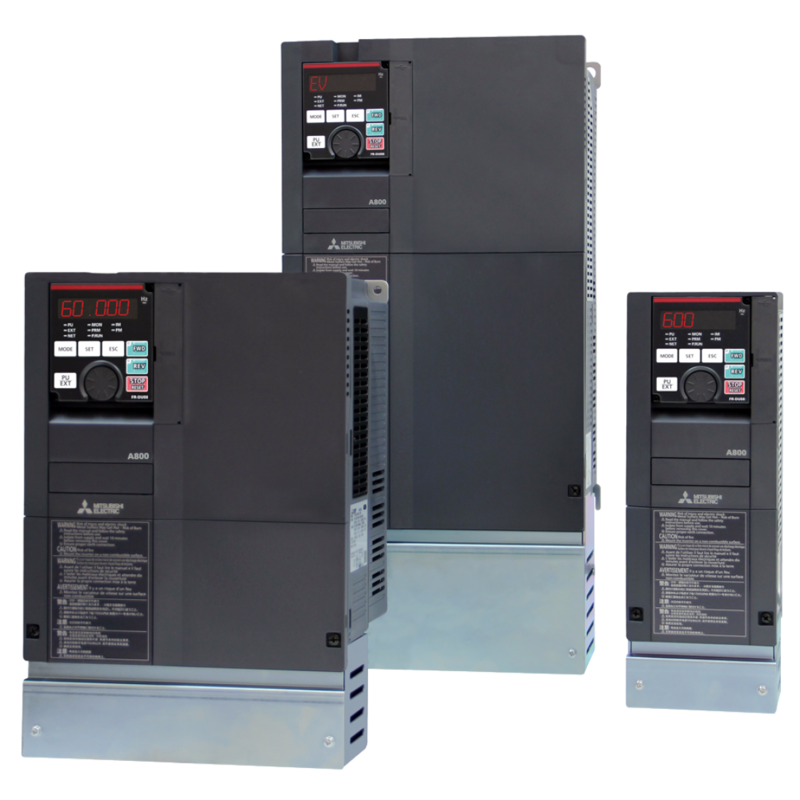 Extended Maximum Speed: A standard A800 VFD can drive high-speed motors at up to 590Hz, compared to the A700’s 400Hz. Improved PLC: A800 has a new internal PLC based on the Mitsubishi ‘L series’ processor. Instructions in the form of ‘Function Blocks’ can now be used.